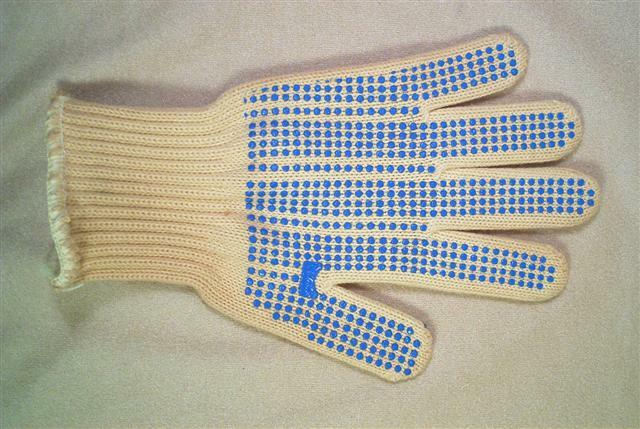 Kevlar Protective Glove. No wire reinforcement. Fits on either right or left hand (Dots on both sides). Available in Extra Small (Child's) Small Medium Large X-Large. Specify Size.